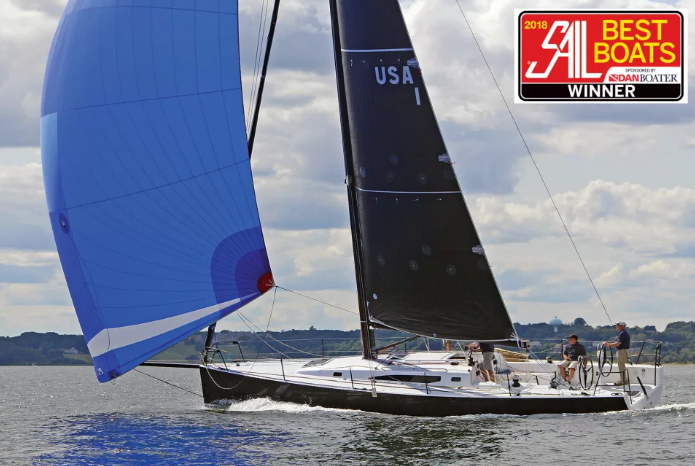 New 40ft J/121, specifically tailored for shorthanded offshore racing has just been elected “Best Performance Boat 2018” by American magazine “Sail”. Easy-to-use water ballast system, providing the equivalent of four bodies hiking, is an appealing concept for skippers who are tired of having to gather 8 to 10 people to go racing. Equipped as an IMOCA, J/121 is designed to facilitate your manoeuvres! We can’t wait to discover the first results!